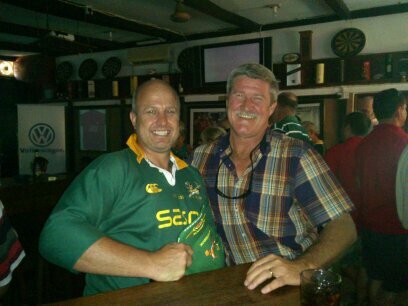 Springboks vs All Blacks – as watched by ex-pats in Dar!! Saturday morning found us heading over the ferry at some God-forsaken hour like 7 am (early for us on a Saturday), so that we can be at the George and Dragon English Pub in the more Mzungu area of town by 8.30 am. 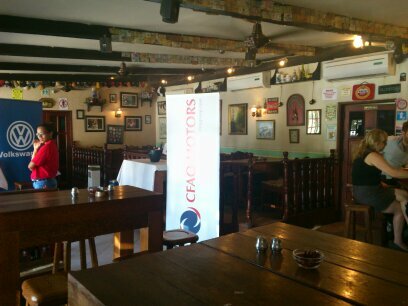 We were invited by CFAO Motors to join them for a breakfast and then to watch the rugby match between South Africa and New Zeeland. Now for any true-blooded South African, the All Blacks are arch-enemies, and rugby being our national sports, makes for tempers, egos, wannabe team players and national pride to emerge in full force at such games. The George and Dragon is a typical English pub, with great food and we were thoroughly spoiled with a cold-buffet which included copious amounts of Nutella over fresh fruit to satisfy my sweet tooth, a plate of traditional hot English Breakfast complete with sausage and egg, and for anyone still feeling peckish during half time, true South African style boerewors rolls with onion relish were served up. We could all venture a guess at the final score, and Kobus and I felt like traitors for not believing that the Boks could win, reflecting it in our predictions of a close win to the All Blacks. A big-screen T V was laid on for the event, and to much pride and applause after singing the National Anthem, we settled down to the obligatory All Black Haka – a ritual they perform before the kick-off, intended to scare the living shits out of their opponents. At half-time we were already behind on score, and I had to laugh when an apparent South African supporter in his traditional green t-shirt promptly took off the T to unveil an All Black T-shirt! Talk about being a traitor!! The final score was in favour of the All Blacks, but some other guests were more spot-on with the final score prediction and walked away with some prizes. So the verdict? All over the world, in any pub they could find, you were sure to have found some staunch South-Africans supporting their team last Saturday. The funny part after all was done?? 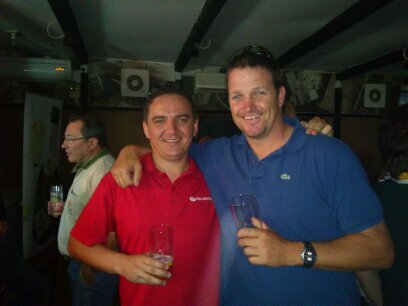 Provincial rivalry reared its head and mutterings of “it was a Blue Bull game”, or a “Stormers” game, or a “Vrystaat” game!!! Ha-ha!! 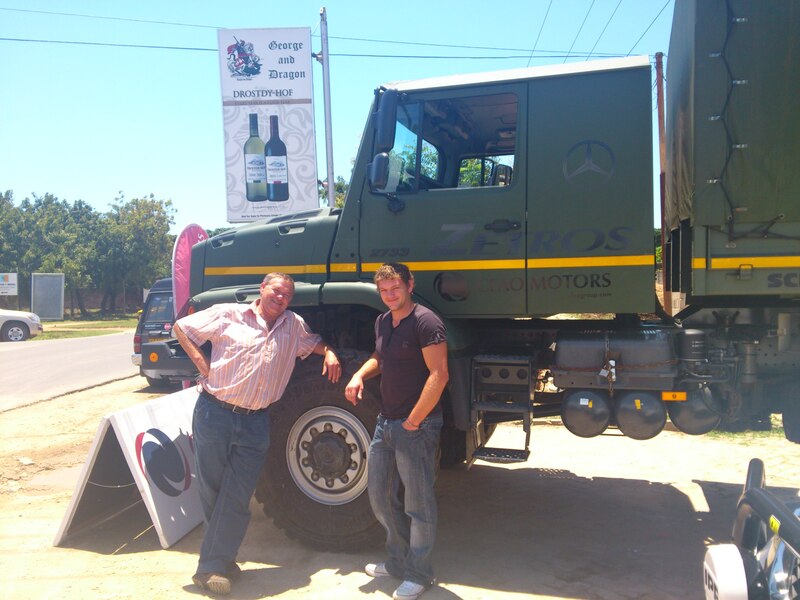 It was hugely entertaining, and a big thank you to Alex and his team from CFAO Motors!! This entry was posted in Love and Life, South Africa and tagged All Black, All Blacks, Free State, Mzungu, National Anthem, New Zealand national rugby union team, Nutella, Saturday, South Africa, Stormers. Bookmark the permalink. 3 Responses to Springboks vs All Blacks – as watched by ex-pats in Dar!! I love this post. Reminds me of watching the Rugby World Cup last year in a crowded bar in Seoul. I didn’t realise how many south Africans there were in Korea until I went to packed pubs and saw crowds of green and gold. Somehow its more exciting when you’re watching as an expat… well also bittersweet and nostalgic! 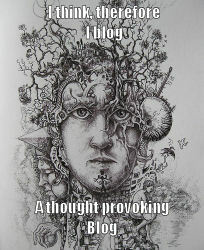 Hi, thanks for reading, I just read your post this morning and loved it as usual. Yes, the life of an ex-pat is full of surprises.